President Donald Trump’s personal attorney Michael Cohen sometimes taped conversations with associates, according to three people familiar with his practice, and allies of the president are worried that the recordings were seized by federal investigators in a raid of Cohen’s office and residences this week. 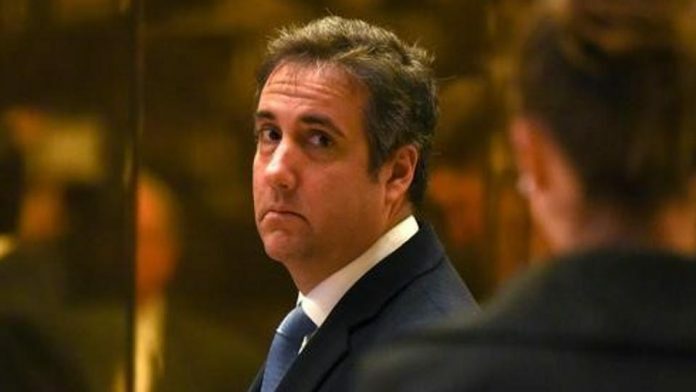 During the 2016 race, Cohen – who did not have a formal role on the campaign – had a reputation among campaign staff as someone to avoid, in part because he was believed to be secretly taping conversations. One outside Trump adviser said Cohen may have begun recording his conversations in an attempt to emulate his boss, who has long boasted – often with no evidence – about secretly taping private conversations. In May, for instance, a report appeared in the New York Times detailing fired FBI director James Comey’s account of a one-on-one dinner he had with the president, during which he said Trump asked him to pledge his loyalty to the president and he declined. Shortly after, Trump took to Twitter to cast doubt on Comey’s version of events, seeming to imply that he had secretly recorded their encounter. At the time, it was unclear whether Trump truly possessed tapes of his conversation with Comey or was simply trying to intimidate the former FBI director. And ultimately, just over a month later, Trump cleared up the mystery by admitting in a duo of tweets that he had not, in fact, recorded Comey. But after Trump sued him for libel shortly after his biography came out, O’Brien’s lawyers deposed Trump in December 2007 – during which Trump admitted he had not, in fact, clandestinely taped O’Brien.